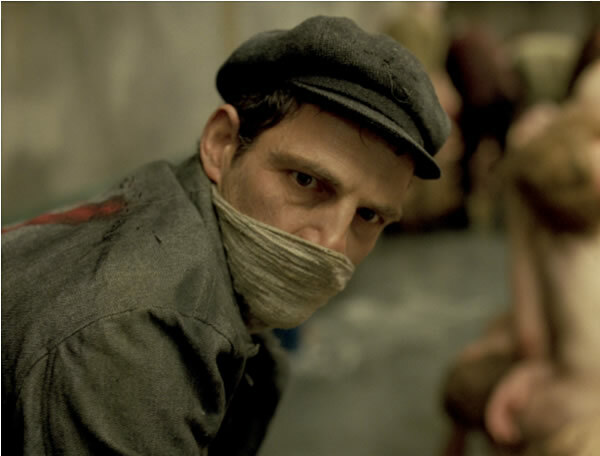 “Son of Saul,” a film partially funded by the Claims Conference has been nominated for an Academy Award. The film won a Golden Globe award for Best Motion Picture in the Foreign Language category and the Grand Prix at the Cannes Film Festival. 1945 depicts the events following the arrival of two Orthodox Jews in a Hungarian village soon after the end of WWII. The town clerk fears the men may be heirs of the village’s deported Jews and expects them to demand their illegally acquired property back, originally lost during the war. Other villagers are afraid more survivors will come, posing a threat to the property and possessions they have claimed as their own. Bogdan’s Journey follows the journey of Bogdan Bialek, a Catholic Pole, who persuades the people of Kielce, Poland to confront the truth about the 1949 pogrom in which forty Holocaust survivors seeking shelter in a downtown building were murdered by townspeople. Son of Saul has won an Academy Award, a Golden Globe and the Grand Prix at the Cannes Film Festival. The film depicts the inconceivable work of the Sonderkommandos at Auschwitz, Jewish prisoners who were forced to prepare fellow Jews for the gas chambers and remove the corpses. Lost Town uses animation as well as archival and documentary footage to illustrate one man’s obsessive attempt to get closer to his deceased father by uncovering the story of his family’s town of Trochenbrod. First made famous by Jonathan Safran Foer’s “Everything Is Illuminated,” Trochenbrod was the only all-Jewish town to ever exist outside of Palestine. Trochenbrod’s 5,000 Jews were obliterated by the Nazis, except for 33 townspeople who escaped the massacre there. No Place on Earth shows the impossible experience of Jews who hid in two deep underground caves for longer than anyone in recorded history. For 18 months, 38 people survived by resourcefulness, will, luck and the strength of their bond. Liga Terezin is the story of Jewish prisoners who played soccer on improvised fields in the Theresienstadt camp-ghetto. Numbered portrays survivors of Auschwitz and examines their relationship with the numbered tattoo given to every prisoner who entered the camp.